A microwave oven, commonly referred to as a microwave, is a kitchen appliance that heats, thaws and sometimes bakes food using electromagnetic radiation. Jumia Egypt stocks microwaves from brands such as White Whale, Caira, Jac, Samsung, Fresh and Kenwood. Shop for the best microwave online on Jumia Egypt, don't worry about transportation as the microwave will be delivered to an address of your choice. A microwave makes preparing food easy, it comes in handy when thawing frozen food. It heats food within the shortest time possible and can also be used to do small time baking. Browse through our site for the best microwaves online. Shop for mini microwaves which come with an oven and a grill. They also come in different designs and colors including stainless steel microwaves, ceramic and colors such as white, black and silver. 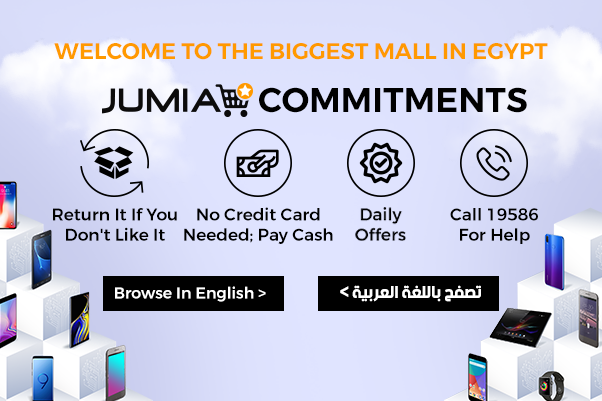 Jumia Egypt's deals provide the best microwave oven price, because they are pocket friendly. We also have microwave deals with attractive discounts on selected items. Browse through our site and make your order online, pay securely online or cash on delivery.